Despite the overall adverse performance of the Colombo Stock Exchange (CSE) last year due to a multitude of reasons, the country’s capital market could still be hopeful that the positive trend of foreign investor interest will continue with sizable investments lined up to take off during this year. The total foreign investor contribution to market turnover recorded 42.5% compared to 34.4% in 2015, while recording a total net foreign flow of Rs. 633.5 million last year compared to the Rs. 5.4 billion in foreign outflow in 2015. “Although both indices in 2016 have been negative, the flipside we have seen is that there is a foreign net inflow this year. This means that foreigners are still selectively looking at stocks, which I feel provides a good opportunity for the accumulation of stocks because it offers good value right now. I think investors should really make use of this opportunity,” CSE Chief Executive Officer Rajeeva Bandaranaike told the Daily FT. He assured that the market would see around six to seven initial public offerings (IPOs) during this year, with few non-strategic enterprises in the pipeline to be listed in the first quarter adding that the CSE is ready to facilitate those enterprises. He believes the entry of non-strategic enterprises will infuse more activity and life into the market. In addition, Bandaranaike said the SME board and dollar denominated board initiatives would be implemented before the end of first half of 2017. “We expect to launch the dollar denominated board within the first half and the SME board within the first quarter. Already we have received a favourable number of inquiries for the dollar denominated board, which will help the CSE to achieve hub status in the region,” he added. Noting that liquidity has been an issue, he emphasised that the CSE had been constantly pushing to get more companies with a larger public float to the market but a lack of proper valuation for stocks had been a major roadblock to attracting new firms to get listed. “The future potential is huge with many companies in both the state and private sector waiting for the right time to enter the market. The country needs to have an economic boon for this as only then will they realise that the internal funds are not adequate for their growth. That is the time they will reach the capital market and that is the time you will really see the capital markets surging,” he explained. 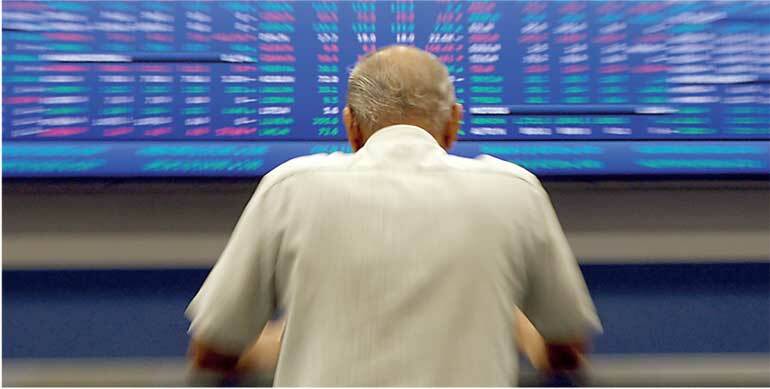 However, Bandaranaike stressed that it was important to improve market sentiments such as exchange rate, foreign inflows, FDIs and interest rates along with the infrastructure development for the capital market to gather pace during the year.